Translation of Kalafina’s Shanghai WHENEVER interview. Thanks to Kerahna for the translation! Three overwhelmingly talented vocalists, with many contributions and succeses in the world of anime creations, has achieved the dream of an Asian Tour mere two years after their debut! — How was Kalafina formed? All members: It was created by Yuki Kajiura, to create the seven theme songs for the “Kara no Kyoukai” films. Our distinguishing feature is the unique vocal timbres of the three members. — Since your debut two years ago in January 2009, you’ve done many performances and are planning a tour through Asia. Looking back, what has been your most significant moment? Wakana: Live performances have increased by so much last year, and getting to meet so many music lovers has truly been a wonderful experience. We did our first solo live in Japan, and held a concert overseas at Anime Boston convention. They have all left deep impressions on me. Keiko: Beginning in 2009, there were monthly live performances at LIVEHOUSE 「morph-tokyo」 ~ every month it felt like I was returning home, like that LIVEHOUSE has become Kalafina’s base. Although they weren’t huge concerts, it was an intimate experience with the fans, and it felt like I could touch them just by reaching out my arms. It was like being at home. In order for every performance to be a new experience, we incorporated interesting seasonal talk into our MC segments, and tried many different things. Like this, we completed our monthly concert series with the fans that came to see us every month. Hikaru: When I first joined the group, I was really nervous during the recording of ARIA. Another defining moment was experiencing the Kalafina LIVE at the end of last year. — Kalafina has an overwhelmingly virtuosic and strong image, which is reflected in your performance on stage. What are the highlights of this Asian tour, and should we be expecting any special performances? Wakana: Our first time performing in Shanghai, I am really looking forward to interacting with our audience members. Keiko: Becuase it’s our first Asian tour, I will be very happy as long as everyone enjoys our performance. Some songs will sound completely different from what you hear on CD, and can only be heard at the LIVE, please look forward to it ~ of course, I also want to greet everyone in Chinese, and communicate directly to our Chinese friends. I will begin studying now! 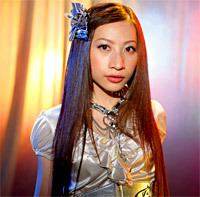 Hikaru: The highlight of Kalafina’s style is the three-voice harmony. I want to enjoy the live through both dynamic and static segments. I also want to speak a little Chinese! — Looks like it’s the first visit to Shanghai for all three of you. Where do you want to go in Shanghai, and what activities do you want to tackle? Wakana: Actually I like sharks, so I want to visit the Shanghai Ocean Aquarium. Also, I want to try a pedicure! Hikaru: I want to see the Bund. I really love the beautiful night scenery. 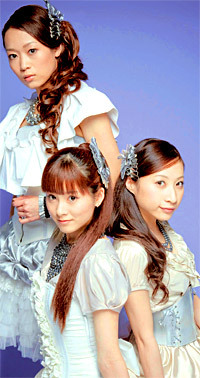 — The members of Kalafina not only have beautiful voices, but are also cute and gorgeous in person! What’s your secret? Wakana: It’s really simple but I love a relaxing bath. Obliterates the fatigue of the day! A half-body bath is mandatory homework every day. Keiko: Sleeping well. Recently it feels like nothing is more important than sleep. Also, if there’s going to be a photo shoot the next day, I eat some stuff like tomatoes to reduce swelling on my face. I really like CLARINS body cream that removes cellulite when it’s applied. I also do facial exercises! Sticking out my tongue, holding a smile for 10 seconds, etc… I like to try many different things when I get the chance [laughs]. Hikaru: Hmm~ if I have to tell you, it would be that I usually don’t use any foundation and just go without makeup. — What are your plans and goals for the future? Wakana: We’re planning to release our second album, currently in the making. I’m really looking forward to that. Keiko: I want to continue performing live. 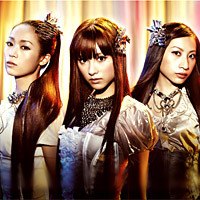 I want Kalafina’s music to cross international boundaries, and work hard to give our voices to everyone in the world. Hikaru: Doing LIVE performances and recording albums. I hope that after this show, we will come to Shanghai again in the future. — Finally, please say a few words to your Chinese fans, and Japanese fans living in China. Keiko: Nice to meet you, I am KEIKO of Kalafina. It’s really like a dream, to be able to perform live. I hope we will be able to make a concert that everyone will enjoy, please just wait a little longer ~ I am eagerly waiting for the day I finally can meet everyone. Hikaru: I’m so happy to be able to perform in Shanghai, Hong Kong and Taiwan! What kind of LIVE will this turn out to be? I’m looking forward to having a great time with everyone. See you at the concert!